To say that India have been on a roll is an understatement. They have turned up match after match and conquered by-and-large everything that has come their way over the past two years or so. A result of that has been the climb to the top spot in both Tests and ODIs (South Africa, though, have leapfrogged India to the top spot in ODIs since then). However, if there is one area that has remained a soft underbelly for India, it is the shortest format of the game, in which the champions of the first-ever World T20 and the progenitors of the Indian Premier League (IPL) have not been the force that they were expected to be. Thus since July, 2015, India's experience in T20I cricket has been bittersweet. For every magnificent victory, there has been a sobering loss. They whitewashed Australia in their own backyard at the start of 2016, followed by the Asia Cup triumph. There have been satisfying series victories over Sri Lanka and England over the past year-and-a-half or so. But these successes have been moderated by the heartbreak of losing in the World T20 semi-final at home, losses to Zimbabwe, including the failure to win a series against them, losses to South Africa and pasting at the hands of world champions West Indies. The latest of the debacles was the hammering by Australia in Guwahati last month. The failure to win that series jeopardised India's 'Mission 111' (to be the number one-ranked team in all three formats) at least for the time being. It is no wonder then that India find themselves scrounging in the middle rungs of the T20I rankings. 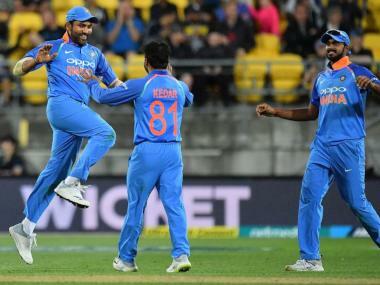 India, though, can reclaim some of their lost ground with a favourable result in the series against New Zealand, and a 3-0 sweep can catapult them from a middling fifth to second on the T20I charts. That would give Kohli's boys a strong head start to make a dash for the No 1 spot when they face Sri Lanka at home later this year in a three-match series. Therefore, there is a lot at stake for India in this series and they will be eager to put their best foot forward when they take the field against the Kiwis at New Delhi's Feroz Shah Kotla on Wednesday. However, things won't be easy against a team that has historically been a tough nut to crack in limited-overs cricket; the shorter the format, the more dangerous they are. They are deservedly perched on top of the T20I charts, and have a 100 percent win record against the hosts in T20Is over five meetings so far. Kohli and Co will remember that the last time the two teams met, in the 2016 World T20, India were completely annihilated, getting bowled out for an abysmal 79, chasing 127. The heroes of that match, spinners Mitchell Santner and Ish Sodhi, are both part of the current New Zealand squad and both of them should ideally start on a pitch that is expected to offer them some purchase. When you add that to the batting firepower of Martin Guptill, Kane Williamson, Colin Munro at the top and Tom Latham and Ross Taylor in the middle order; the superb game awareness of all-rounder Colin de Grandhomme, and the pace bowing acumen of Tim Southee, Adam Milne and Trent Boult, you realise that India have their task well and truly cut out. Indeed nothing less is expected when you are up against the number one side in the world. India, however, will be assured by the fact that their batting big guns Kohli and Rohit Sharma are both among the runs. Kohli slammed two hundreds in three matches in the recently-concluded ODI series and stitched together his fourth 200-run partnership in ODIs with Rohit in the last match in Kanpur — the highest for a pair in ODI cricket. Rohit, in the process, notched up a sparkling 100 as well. 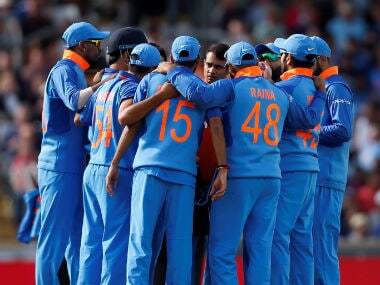 The bowlers have also been doing their job with the greatest expertise, and pacers Bhuvneshwar Kumar and Jasprit Bumrah, and their spin-bowling counterparts, Kuldeep Yadav and Yuzvendra Chahal, with good support from Axar Patel from time to time have ensured the opposition is not allowed to get away easily. One remembers Bumrah and Chahal powering India to a come-from-behind series win against England earlier this year. After India went down in Kanpur, Bumrah bowled a gem of a last over to defend a modest total in the must-win second T20I in Nagpur, before Chahal tied Eoin Morgan's side in knots in Bengaluru, returning figures of 6/25, with Bumrah again choking the Englishmen with 3/14 in just over two overs. On the strength of such performances, Bumrah has gained his rightful place at the top of the ICC T20I rankings, while Kohli continues to lead the batsmen. Shikhar Dhawan will, however, look to get his silken touch with the bat back. He has been having difficulties to hit the right notes of late, but looked to be getting back into his groove in the second one-dayer against the Kiwis in Pune. He is expected to be Rohit's opening partner, unless Kohli wants to push himself up the order, or wants to give KL Rahul a go. The middle order looks a bit crowded. Mahendra Singh Dhoni and Hardik Pandya are certain to start barring any unforeseen circumstances, but there will be strong competition for the rest of the places between Manish Pandey, Rahul (if he doesn't open), Dinesh Karthik and new man Shreyas Iyer. Pandey has flattered to deceive in India colours, but considering his potential to build an innings in the middle overs, or act as a finisher, it will be worthwhile to give him a longer run. If his IPL exploits are factored in, the Indian think tank might want to play him in New Delhi. If the readers can recall, it was at the same ground that he played a Dhoni-esque innings for the Kolkata Knight Riders in the IPL this year, calmly steering his side home in the last over. It will also be worthwhile to also play Iyer, who has been rewarded for his strong performances for India A against both South Africa A and New Zealand A, and in the Ranji Trophy in recent months. "Obviously I am hoping that if I am selected (in the squad) then I will play as well. 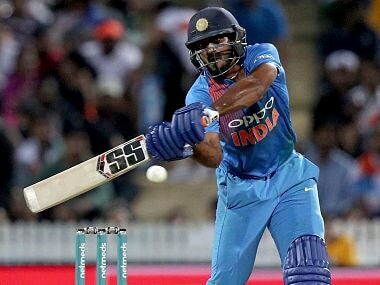 We have three matches and if I play even one then it is a good feeling," Iyer said, while adding that he was willing to be "very flexible" in terms batting position. Wednesday's match is also special for another reason. It is going to be the swansong of Ashish Nehra. 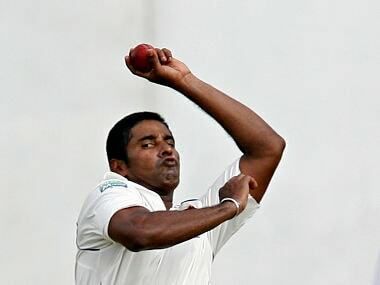 The left-arm pacer's skill and guile have been well-acknowledged, but his international career could not touch the heights that it deserved, with injuries cutting short his progress on numerous occasions. The selectors made an accommodation to allow Nehra the chance to bid adieu to the game in front of his home crowd, by declaring a 16-member squad for only the New Delhi T20I. This was perhaps the least that they could have done as a token of appreciation for Nehra, and though chief selector MSK Prasad said Nehra's selection in the starting XI was a call for the team management to take, Nehra, one feels, is a certainty at the Kotla. Speaking of the pitch and weather conditions, the Kotla surface is known to be slow and low, and the average score in T20Is in both innings is in the 140s, which is very modest. The highest score here is, however, 171/4 by England against Sri Lanka, and the lowest is 120 by Sri Lanka against South Africa. The highest score chased is 159 by England against New Zealand and the lowest score defended is 142 by England against Afghanistan. Batting during IPL 2017, though, have been relatively easier, with the average score being 184 batting first and 155 batting second. Both the highest and lowest scores were registered by the Delhi Daredevils, when they scored 214/3 against Gujarat Lions and 66 against Mumbai Indians respectively. The highest score chased was 209 and the lowest score defended was 161. With the mercury starting to dip in North India during this part of the year, dew will be a factor, but given that it is a 7 pm start, the dew is going to affect both teams. So the captain winning the toss may not necessarily want to bowl first, because bowlers from both teams will have to adjust to a wet ball. India, incidentally, will be making their T20I debut at the Kotla. New Zealand, on the other hand, will be looking for their first win at the ground. All in all, a very exciting match in prospect. India: Virat Kohli (C), Shikhar Dhawan, Rohit Sharma, Lokesh Rahul, Manish Pandey, Shreyas Iyer, Dinesh Karthik, MS Dhoni, Hardik Pandya, Bhuvneshwar Kumar, Ashish Nehra, Mohammed Siraj, Axar Patel, Yuzvendra Chahal, Kuldeep Yadav, Jasprit Bumrah. New Zealand: Kane Williamson (C), Trent Boult, Tom Bruce, Colin de Grandhomme, Martin Guptill, Matt Henry, Tom Latham, Henry Nicholls, Ish Sodhi, Tim Southee, Ross Taylor, Adam Milne, Colin Munro, Glenn Phillips, Mitchell Santner. Click here to follow the live blog of the first T20I between India and New Zealand.